This annual get-together in Denmark’s unsung and unspoilt second-city, Arhus, always brings a big al fresco air to what’s largely an indoor city festival. 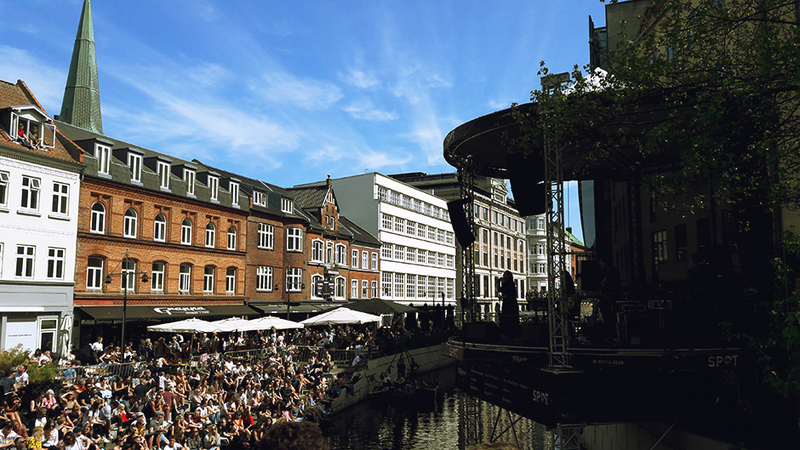 Intriguing sounds waft across the streets from outdoor stages in novel locations, while the local populace are well served by year-round gig venues, most of which are a short hop from the lawns of the aptly-named Musikhasparken. This year’s SPOT featured a typically thoughtful roll-call of performers – largely from Europe’s Nordic nations but with some further-flung talents, particularly on the new Roots and Hybrid stage – while a particularly hot and welcome addition was that often absent-from-Scandinavia but always-popular old star: yep, the sun showed up. Which certainly helped a couple of outdoor stages that were new for 2018. Rain is cool, but not when you’re on a rooftop, right? In Danish, LYNfabrikken means ‘lighting factory,’ which this building on an Aarhus backstreet previously was. Now it’s a hub for thrusting new startup companies, while upstairs is a rather nice communal café and meeting room: a very positive new-ideas factory. And up one more flight of stairs is the terrace, which on Saturday is occupied by music agency Over and Aude whose SPOT party has become an annual institution. 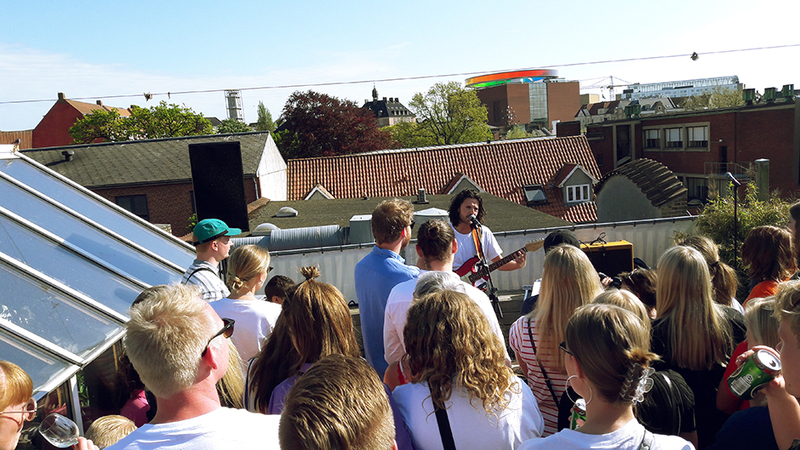 In the colourful shadow of Aarhus’ famous art installation Your Rainbow Panorama, we catch Favor, whose sit-down acoustic vibes could almost be designed for days like this, particularly the whistling. Whistling doesn’t work nearly so well in winter. Voxhall is Aarhus’s best-known music venue, a year-round stop-off for the best Danish and international acts, although the Faroe Islands is actually sort of in-between. A dependency of Denmark but with its own language and currency, the Faroes crank out an impressive array of noteworthy talents, and FRUM has more talents than most. There’s a whole film/fashion thing going on behind the music, and you had to wonder how it might work live. Shorn of the backscreen though she’s an engaging stage presence, and the songs are strong. One to watch. Later on Friday evening, Norway’s SASSY 009 – which admittedly sounds like an awkward Twitter handle – turns out to be three young women apparently thrust into 2018 from an English field in 1991, all rave beats, spiritual singing and some unapologetic (acid) jazz flute. Rave is old enough to now a kind of traditional folk music, when you think about it. Less interesting the next day is Norway’s Jakob Ogawa, whose high-voiced yacht rock might well work better on a rooftop, or river. And facing the river behind Voxhall is the also-excellent venue Atlas, where late on Saturday night the subversive duo TAN make a splash with their accessible techno-pop, if not a scene. The stage is dark apart from a few scattered lights, and the silhouette of a dancer, stage front – but is it a she, or a he, and does that matter anyway? Not particularly. The main festival square’s little outdoor stage is a hive of admirable eccentricity this year: Kim Kim rocks spiky beat-pop, black latex accessories and enough goodwill late on to lead the crowd in a jaunty arm-waving singalong. Dune Messiah – led by a more soberly dressed individual, who’s possibly come straight from a family function – are moodier, deeper and jerkier, in that Joy Division/David Byrne ballpark. And FABL do dark electro-pop while wearing stork masks, like a fever dream of Fever Ray. Also opening their atrium this year is the sizeable department store Salling, one of those places you constantly wander past during city festivals but never get round to visiting – now we zig-zag past the merch up several escalators before finally hitting their splendid rooftop event space, with its appearing-from-nowhere stage and splendid views. 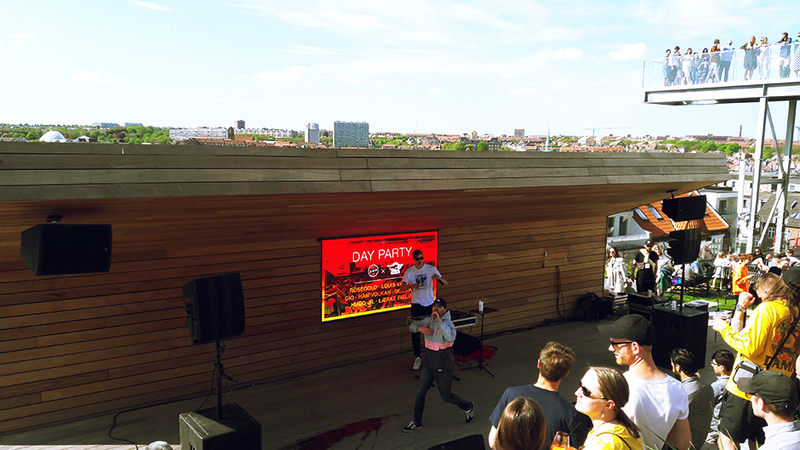 Copenhagen hip-hopper Louis Valuta provides the rapid rhymes over some solid street-shaking beats, to an enthusiastic high-altitude audience. It kinda feels like the half-time show at some futuristic sports stadium, relocated way up in the air to save space down below. Could happen. The one confusion venue-wise is the Bora Bora/HQ conundrum, a bar and concert hall in the same building just off Musikhasparken; HQ’s entrance has a big yellow Bora Bora sign right above it, so the latter venue’s acts invariably lose a few audience members, who are instead sitting in the wrong place round the corner watching a different band soundcheck. Culture Collide meant to catch The Love Coffin, for example, but instead walked into HQ, came across Scumbag Millionaire warming up and stayed on: they’re loud trailer-punk fun with matching denim, trucker caps and an admirable commitment to constant movement that swiftly makes this fine bar a sweaty mess. Older but wiser the following day, we manage to hit the right entrance for Roxy Jules, an onstage duo that’s really an auteur-like solo act plus her resident guitarist. They fill the room with enjoyably angular art-rock, all jagged riffs and philosophical thoughts. 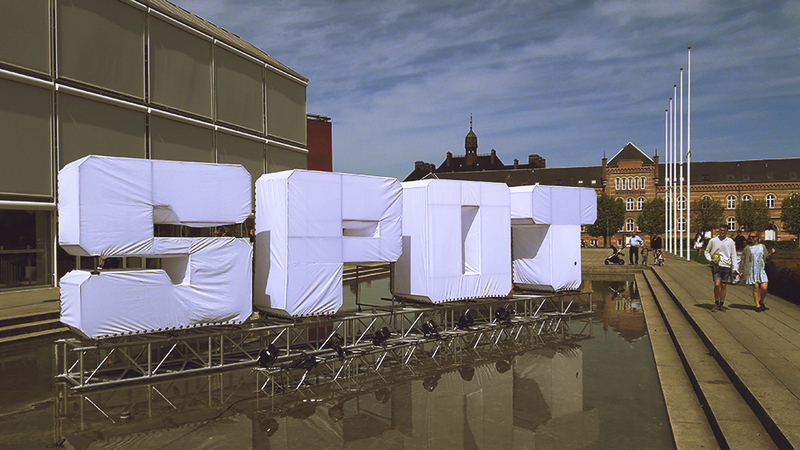 Aarhus is best known for its lovely bar-lined canals, and during SPOT week these get the added bonus of a big outdoor stage, Spot Royal, perched slightly precariously on the other side. “Use me!” hollers Pernille Rosedahl from it in the manner of a ‘60s soul queen (the singing and the sentiment), while the diners opposite busy themselves with overpriced burgers. But then most singers gigged like this in the old days, performing for audiences who paid more attention to the meal. Beneath the bridge, it’s back to more regular SPOT territory: Sway is home to many of the festival’s finest parties, and this year the Orchard agency provide the bands and some bewilderingly strong Scandinavian spirits. 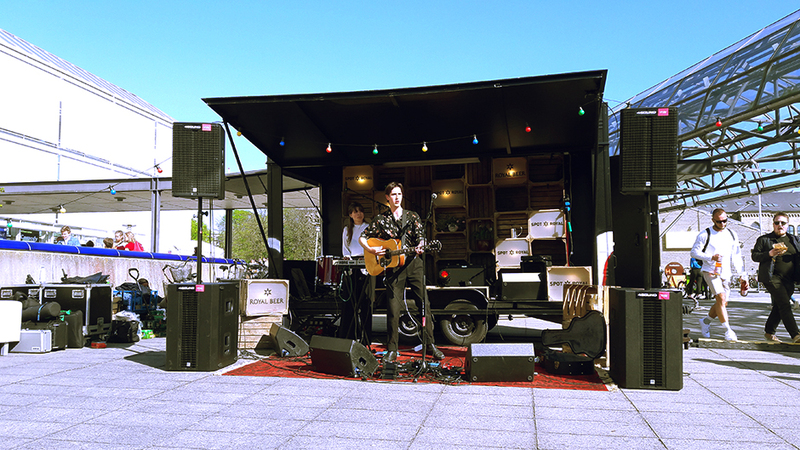 Ida Kudo is the highlight, warbling over tribal beats and marching through the venue, mic in hand, to actively engage the schmoozing boozers in the sun outside. SPOT’s still relatively-new hub has changed the festival’s feel over the last few years, and across its stages you get a real flavour of the programme’s outer limits. Saharan rockers Terakaft blow the ship-shaped roof off the main hall early on Saturday night, as a sizeable crowd are enticed into the most extravagant dancing we’ll encounter all weekend. Danish rapper Monti elicits similar scenes in the Abne Scene room, rhyming with righteous passion, wielding the mic stand menacingly but then ripping his shirt off to reveal a classic Scandinavian suntan: red head, red arms, pale-blue torso. Then Hjalte Ross changes the mood completely, at the Way Up North festival launch next door: sitting on a stool and channelling Nick Drake, John Martyn and early Pink Floyd, he conjures another perfect summer-fest sound. The plush seats at Aarhus’ conservatory, Musikhuset, are a godsend for the footsore, but can attract you into some random shows; such as the catchily-named rock outfit Fribytterdromme, with their Steve Tyler-like singer and some achingly overwrought guitar soloing. Still, they’re clearly a big deal over here: you’d call them Aarhussmith, but they’re actually from somewhere called Svendborg. Wandering through the Radisson complex nearby, an unnamed DJ pumps crisp beats through the impressive atrium, which leads you to the vast SSC. You know your band is doing pretty well if you’re booked into this cavernous conference centre turned concert hall. Virgin Suicides are also local favourites, although with their high-guy vocals and crisp white tees it does look a bit like an ad for laundry detergent. Too much saccharine rock-pop will give you the shakes, so time for something more nourishing. On Saturday night the three-girl-no-guitar Nelson Can finish the festival with in-your-face but feelgood stripped-down bluesy epics, basslines twanging memorably around this huge space. It’s well past 1am as the final chords fade and the varied crowd – from Scandi kids to legendary rock writers – stagger away, many still chanting those choruses. A healthier kind of takeout.